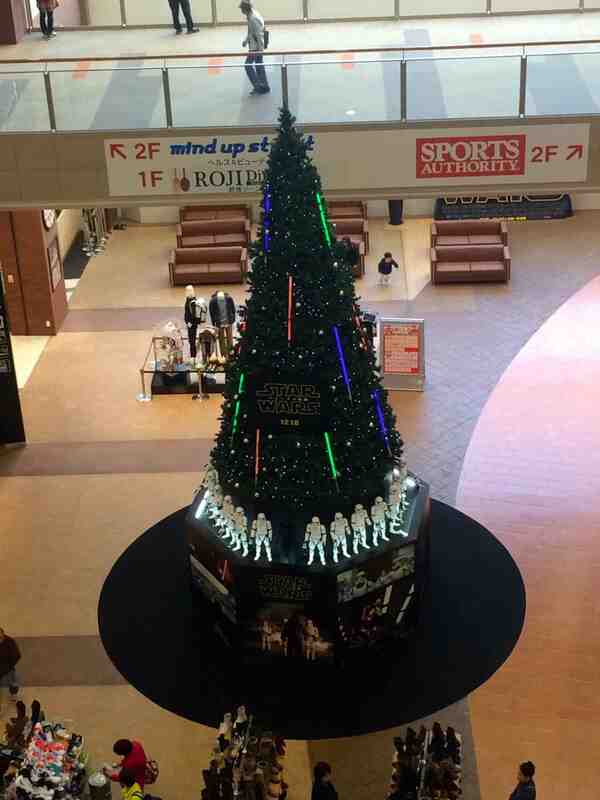 The big shopping mall in Fuchu, to the east of Hiroshima Station, always puts up a giant themed Xmas tree in its lobby. 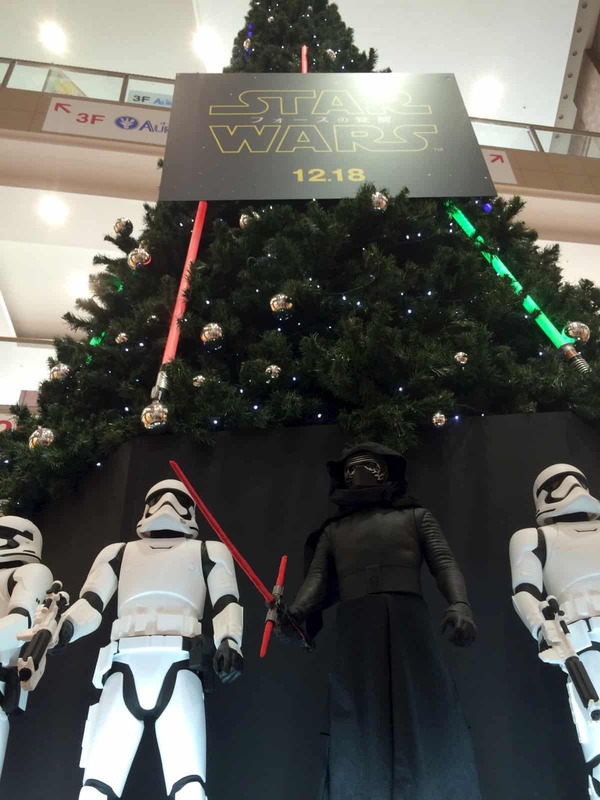 This year, the theme is, of course, Star Wars. 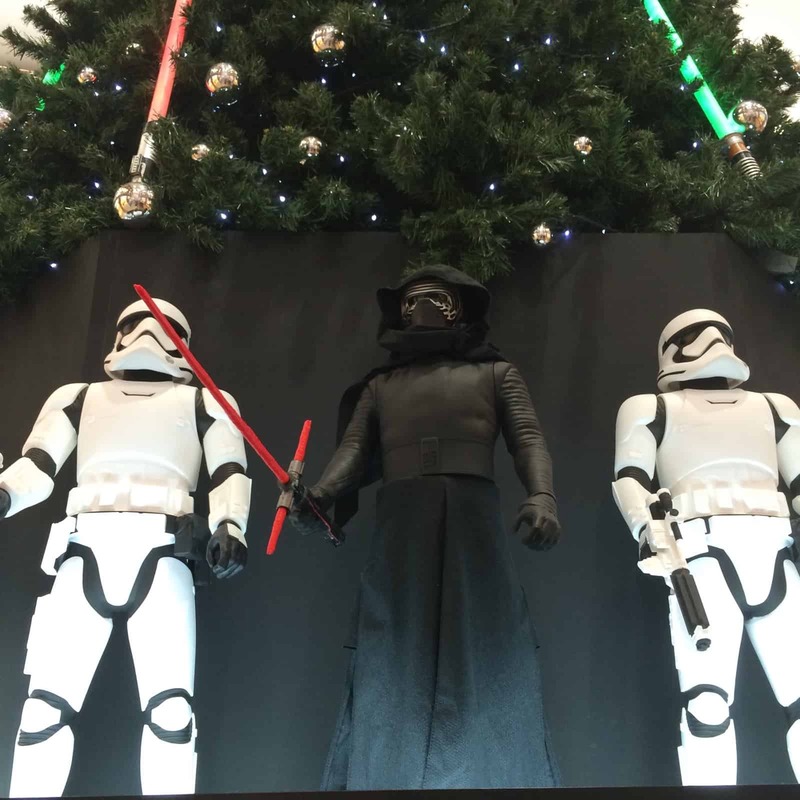 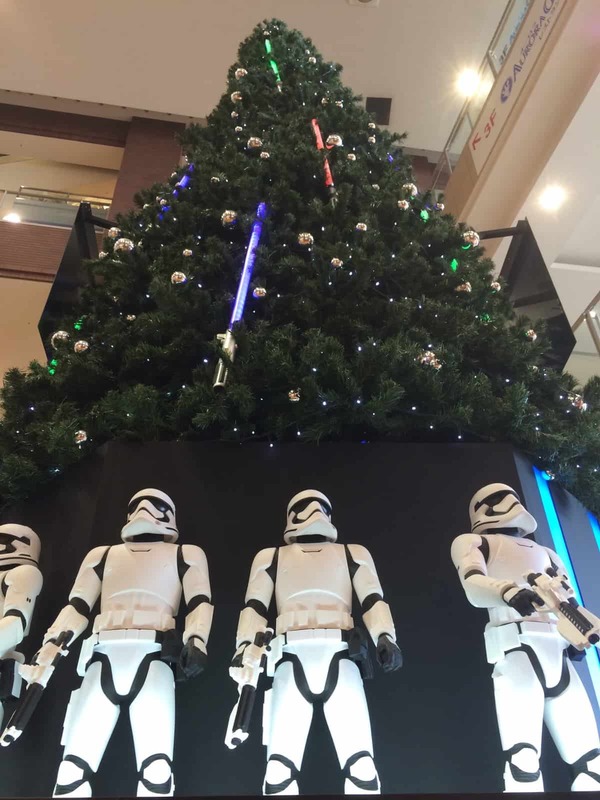 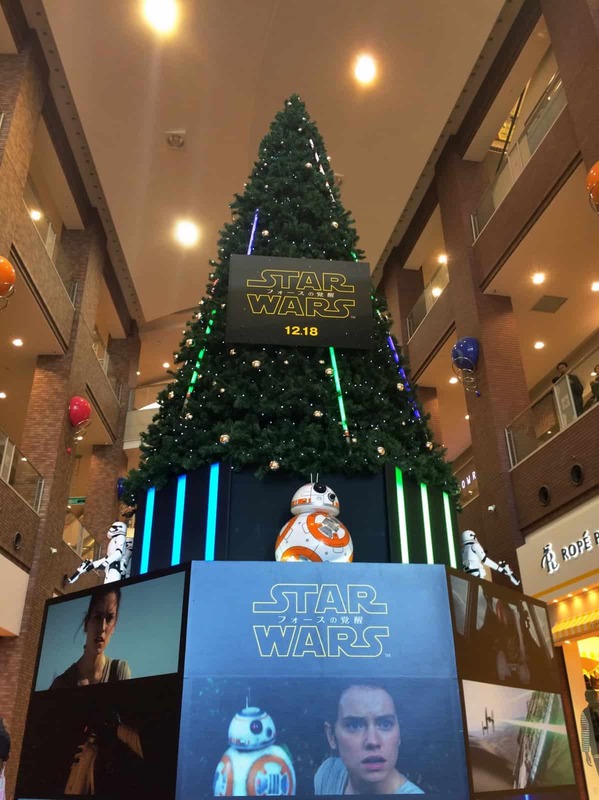 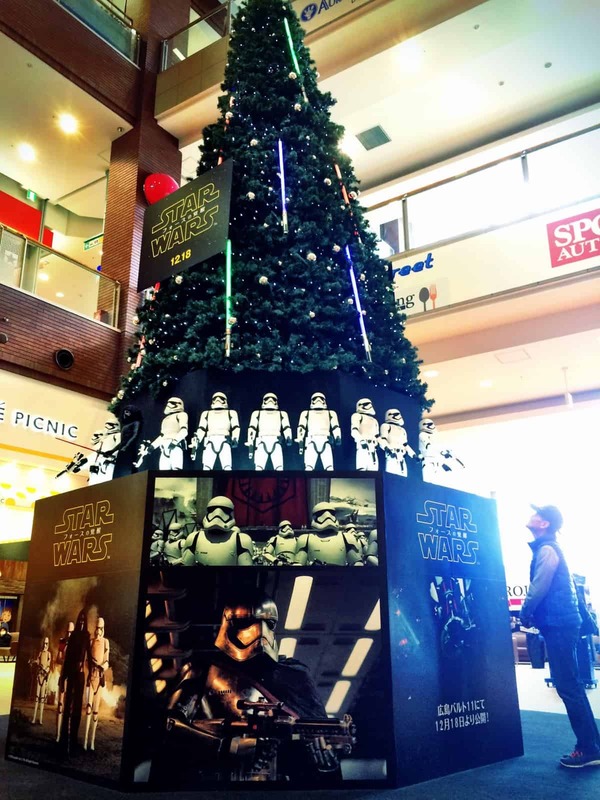 The much anticipated movie opens on December 18, but shoppers have been able to get a taste of an Xmas in a galaxy far far away since the Halloween decorations came down. 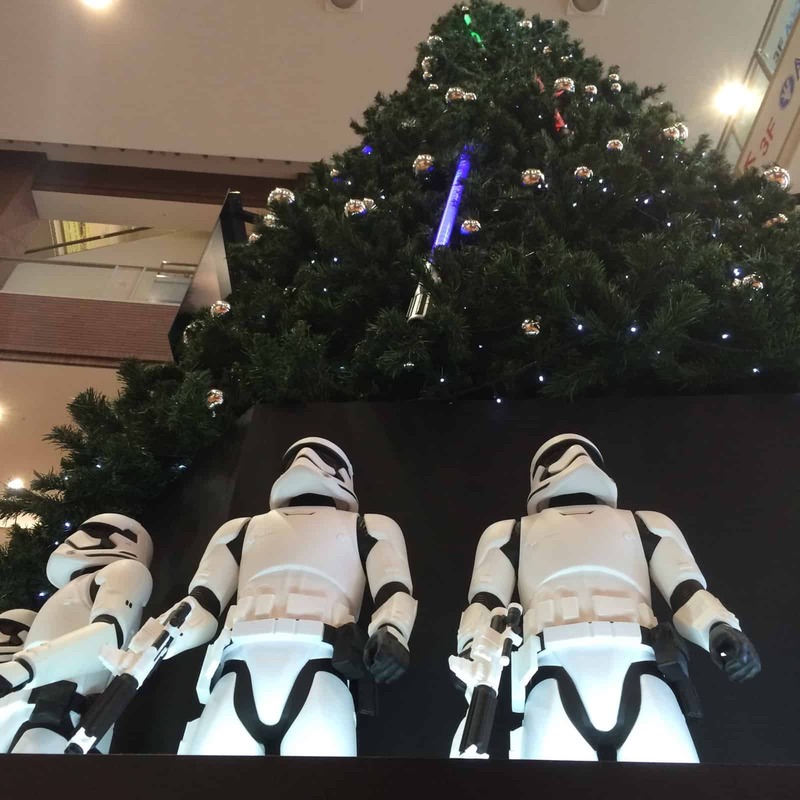 The tree is ringed by stormtroopers and other characters, and is decorated with different colored lightsabers.